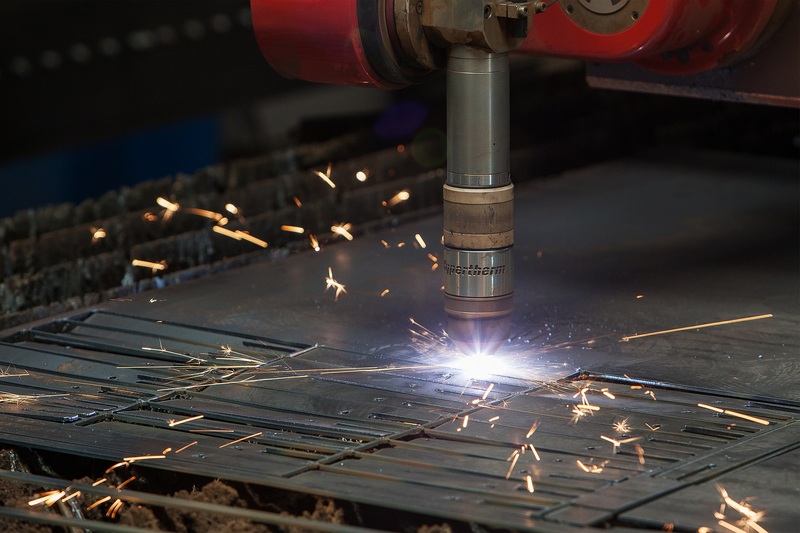 The choice of plasma cnc cutting machine suited closely to the needs of the user is a real challenge. For ease of comparison we present our FIRECUT cnc cutting machines. From experience we know that properly invested money quickly generate profits, bringing in the future return on investment. And our machines are exactly what is expected of us by the customer. MACHINE’S CONSTRUCTION Compact design. Drive system mounted directly on the aspiration table for easy machine positioning and installation. Very good cutting dynamics. Gantry of the machine has an independent construction and is anchored to the floor. Whole gantry is made of steel profiles. Very good cutting dynamics. Heavy, robust and rigid structure for cutting large size sheets in a wide range of thickness. It allows to cut 8 gas torches at the same time. Rigid frame, reinforced machine portal for 5-axis 3D head and other attachments for plasma cutting, gas cutting and drilling. Built-in high quality components guarantees high accuracy at all times.